Temporary Health Insurance in NC – What Are My Options? If you have a gap in health insurance coverage for any reason, temporary health insurance is a wise investment. Although it may be tempting to go without coverage for a bit of time in order to save money, doing so is risky. You may become sick or injured while you are not covered by an insurance plan and be forced to pay thousands of dollars in medical bills out-of-pocket. Fortunately, there are no open enrollment periods for short term health insurance. You can find a plan, enroll, pay your premium, and enjoy coverage immediately after. Since monthly premiums on short term health insurance plans are typically less expensive than Obamacare, you’ll be saving money by enrolling in one. In addition, short term health insurance plans are flexible. You can select how long you’d like coverage for so you won’t be tied to a plan for shorter or longer than you’d like. Blue Cross and Blue Shield of North Carolina offers short term health insurance coverage for up to 90 days. You can choose whether you’d like coverage for 30, 45, 60, or 90 days. For assistance on selecting the right temporarily health insurance plan for you, we encourage you to call the insurance experts at The Mair Agency today at (919) 459-2683. 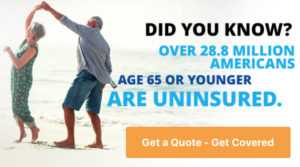 Whether you are in Charlotte, Raleigh or Wilmington, we have agents in the area that can help you in your search for short term health insurance.